The benefits of yoga are impactful because they’re felt rather than analyzed. Usually this is manifested in an open body and expansive breath. 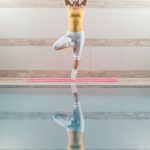 However, researchers are finding that yoga’s positive impacts on mental health are validated in a scientifically-established way. 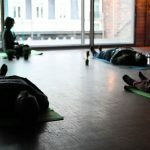 It makes intuitive sense that a practice teaching relaxation techniques such as deep breathing and conscious muscle release would result in relaxation of the mind. The key to this connection is in yoga’s impact on the body’s stress response. A Harvard Medical School article1 reports that yoga’s ability to decrease physiological arousal, such as increased heart rate and shallow breathing, also decreases mental arousal to stress. Usual emotional stress responses would be feeling frustrated or anxious, nervous, and exhibiting clouded judgment. This impact is seen after taking even one yoga class. A 2005 study2 found measurably positive impacts of yoga on inpatients at a psychiatric hospital. In just one 45-minute session, participants showed improvement according to a scale measuring five negative emotions (tension-anxiety, depression-dejection, anger-hostility, fatigue-inertia, and confusion-bewilderment). Though the effects of yoga on positive mental health are becoming more and more apparent, the jury’s still out on why. To find the answer, we can look to the effects of asana on the parasympathetic system. Through asana, relaxation is encouraged in the muscles and connective tissue. Because the body is a diverse network of interconnected systems, this relaxation translates to better regulated levels of cortisol – the stress hormone. This means that cortisol learns to only be released during actual flight-or-fight situations; not just a constant, low-level release of the hormone which creates anxiety and depression. Through gentle, consistent movement of the body, our hormones are taught to work for us and not against us. The relationship between pranayama and mental health is especially interesting. “Prana” refers to our inherent vitality – our embrace of life and joy for living – which is the very energy threatened by moments of ill mental health. By focusing solely on slow, deep breath during a yoga practice, you reconnect with the simple pleasure of being alive. Mindful pranayama also has the physiological benefit of better lung functioning and increased oxygen to feel the brain and clear thinking. To inhale deeply and exhale thoroughly is to feed nutrition straight to your each one of your mood-altering chakras. By focusing solely on slow, deep breath during a yoga practice, you reconnect with the simple pleasure of being alive. 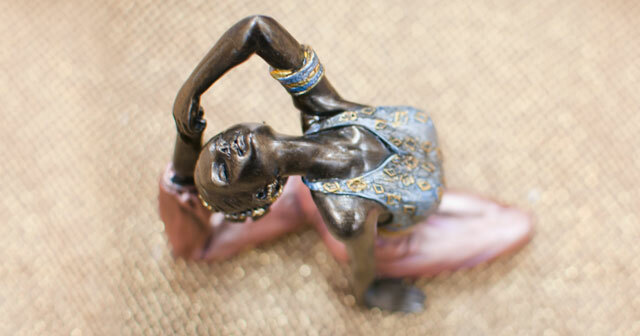 Finally, yoga teaches us to shift from a perspective of lack to one of abundance. Yoga, meditation, pranayama and an overall yogic lifestyle value the cultivation of meaningful, spiritually fulfilled life. This is a much-needed shift from a perspective of mental dis-ease to one of presence and richness in living. Though it doesn’t happen overnight, a lifelong yoga practice can work miracles in shifting long-held perspectives. It doesn’t teach us to control the world around us; it teaches us to settle into and appreciate with is. To paraphrase the Buddha, don’t simply trust the research; make the connection for yourself. The next time you’re reemerging after Savasana, sense your mind. Is it calmer than it was? More centered? Relaxed? Less stressed? 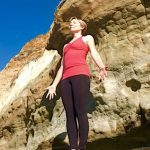 Are you more present and grounded than you were when you first rolled out your mat? For it is precisely in the presence that yoga works its magic on the mind. 1 Publications, Harvard. “Yoga For Anxiety And Depression – Harvard Health”. Harvard Health. N.p., 2017. Web. 17 Jan. 2017. 2 Lavey, R., Sherman, T., Mueser, K. T., Osborne, D. D., Currier, M., & Wolfe, R. (2005). The effects of yoga on mood in psychiatric inpatients. Psychiatric Rehabilitation Journal, 28, 399.